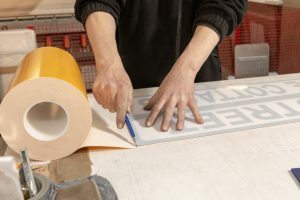 We offer a range of surface preparation products which are to be used alongside the use of our Sign Makers Tapes. 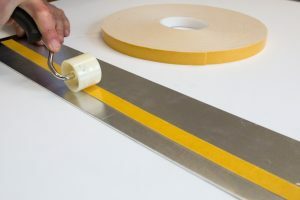 The correct initial preparation of the surface the adhesive tape is bonding too is key to ensure the tape can perform and create the ultimate bond over time. Therefor we supply the below range to suit certain applications and substrates. 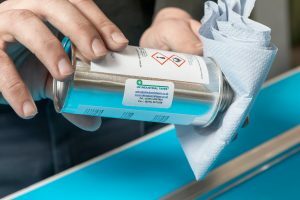 We offer our Isopropanol Cleaner which will asset the preparation and cleaning of the surface before application. Our Prime LINK RS is an adhesion activator (cleaner & Activator in one) for a large number of different surfaces. 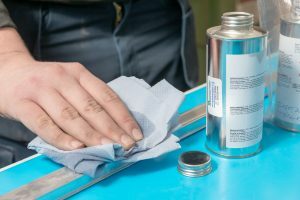 Once applied it will clean the surface, it also alters the surface to make it more receptive to our adhesive tape systems.